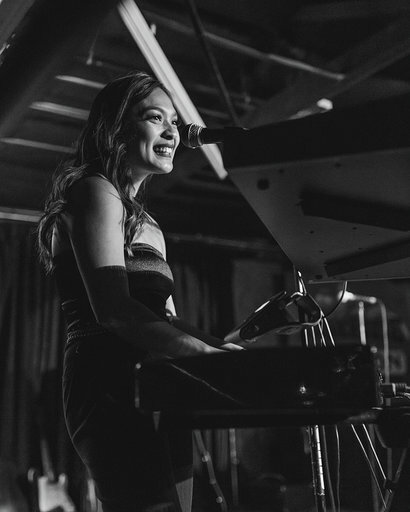 Maejoy Dotdot is an alternative Indie/ R&B singer & songwriter originally from Las Vegas, NV. Beginning of 2014 she was lead singer of local Las Vegas band The Noir Movement performing Neo-Soul, Hiphop, R&B music. Towards the end of September 2016 her local MN band "Enharmonic" has played a variety of shows around the Twin Cities. Created by lead singers Maejoy Dotdot & Chanel Dela Cruz. Beginning June of 2017 Maejoy has created a second band for her solo project, performing more Alternative R&B/ Neo-soul/ Indie music. Her new band inspired from artists such as Daniel Caesar, Neyo, Lauren Hill, Amy Winehouse, & Daughter. LASKA based out of Minneapolis, MN provide the perfect soundtrack for embracing the beauty in pain. Songwriting sisters Hannah, Bex and Mookie weave influences of Alternative, Americana and Desert Rock with raw emotion in their songs. They are all confident vocalists knowing what each will bring to the table to sing lead, but also support one another with beautifully hard-hitting harmonies. Topping off the harmonic sheen is an instrumental arsenal including violin, guitar, banjo, mandolin and ukulele. Combine this with an un- apologetic rhythm section in tow and the whole of this band is far greater than the sum of its parts. Goodnight Gorillas is an Alternative Indie-Rock band from Minneapolis, MN. They write catchy, hard-hitting songs with introspective lyrics and an often sarcastic humor. They formed in 2012 and have released 5 studio projects independently. They're currently working on their next full length album. A unique combination of dream-like guitars, soaring harmonies, warm bass lines, driven percussion and the occasional rap – Stone Arch Isles' music carries forward the indie-rock torch with inspiration from artists across genres. The group began writing and performing in late 2016, playing highly collaborative, often improvisational acoustic sets around Minneapolis. Since then, they have cultivated a passionate following around the Midwest and played an impressive number of shows ranging from headlining sets at popular venues to a filmed performance with Sofar Sounds Chicago. The band has also made waves online with their well-received series live stripped back video performances around the Twin Cities, affectionately dubbed “Local Sessions." With their most recent release, "An Idle Mind," Stone Arch Isles showcases their dynamic and authentic voice, tackling issues of grief, love and growing older.